H&R sport springs are the perfect addition to your Infiniti G35/G37 if you are looking to drop your Infiniti without having to empty your wallet on a set of coilovers. They will ride very similar to your stock setup while giving you a lower more aggressive stance and improving handling characteristics. 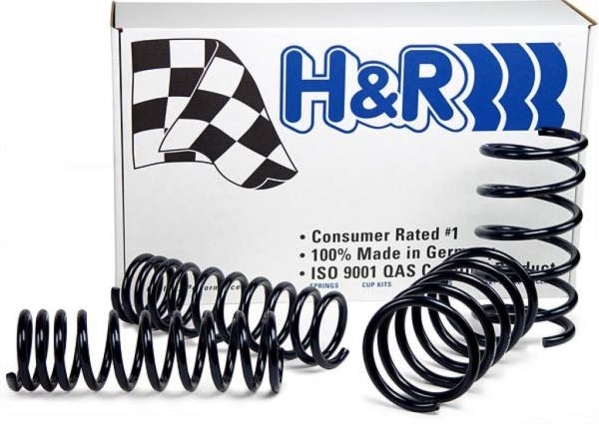 These H&R springs are designed to be a direct replacement of your stock springs and will lower your Infiniti any where from 1.0-1.5 inches. Improve your handling and appearance with a set of H&R sport springs for your Infiniti G35/G37. Why Should I Buy Lowering Springs? Installation for the H&R Sport Springs is classified as moderate hard. You will need standard tools to disassemble your suspension, in addition to a spring compressor. Professional installation is highly recommended for this product.